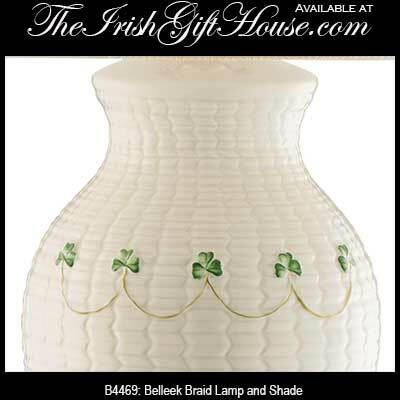 Irish lamps will accent your home decor. 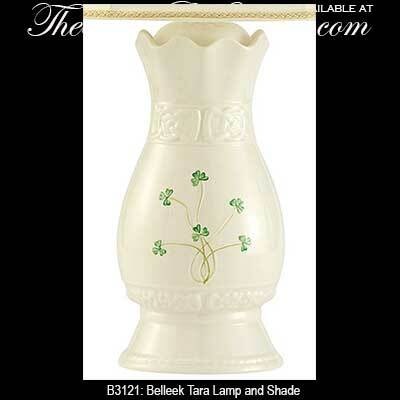 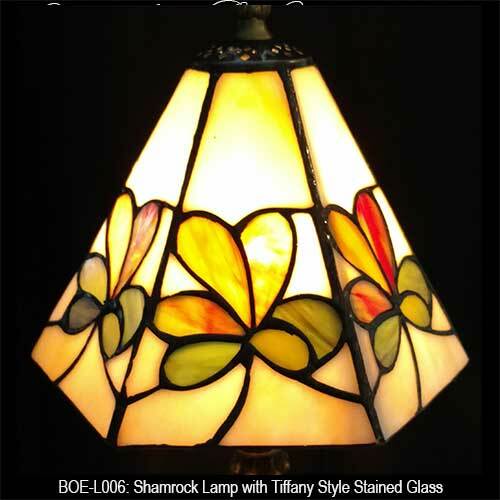 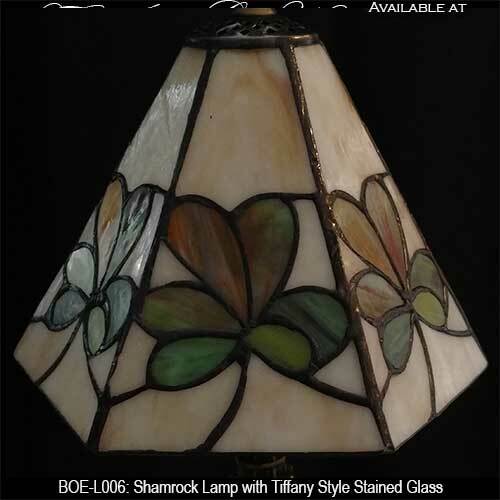 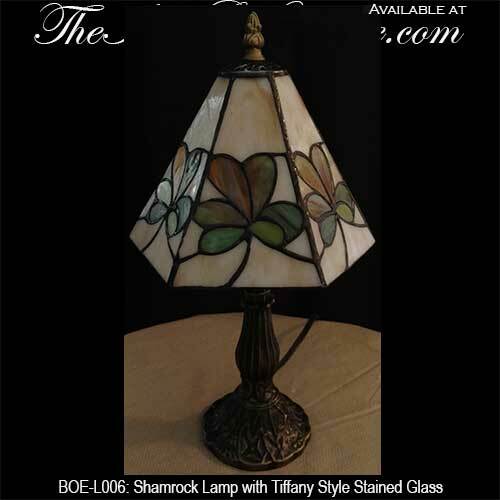 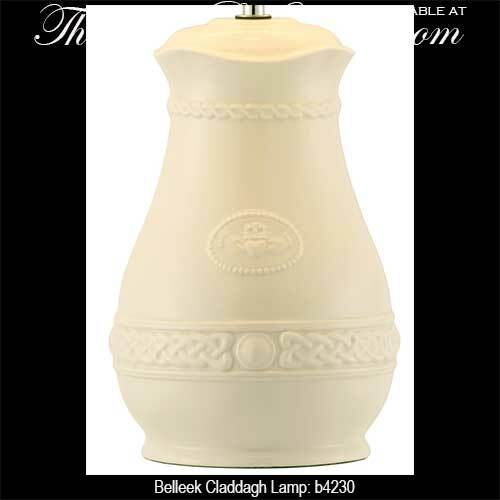 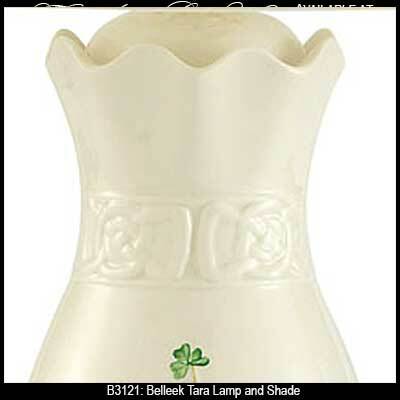 Choose a stained glass Celtic or shamrock design or select from our selection of Belleek lamps. 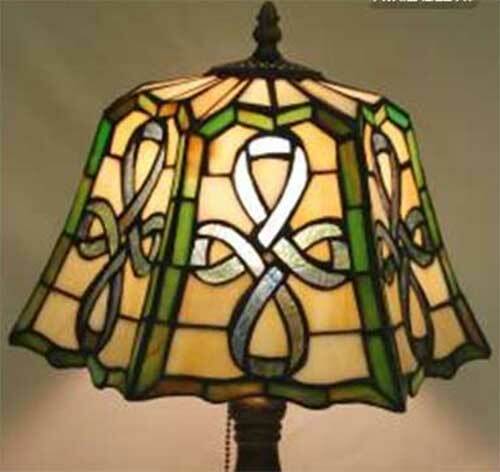 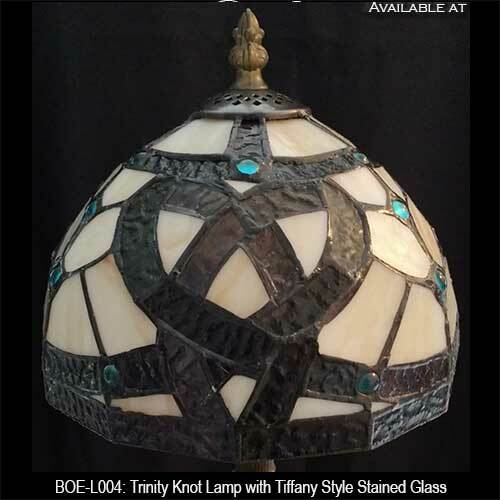 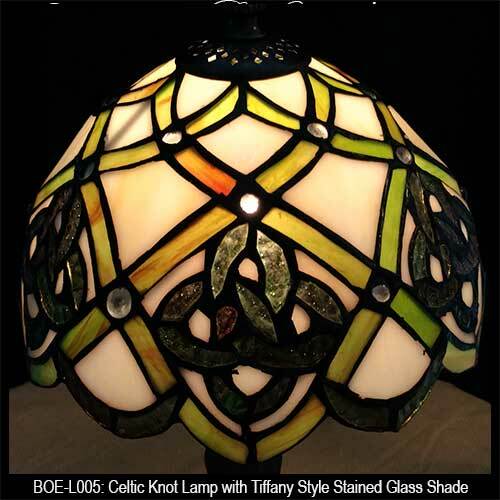 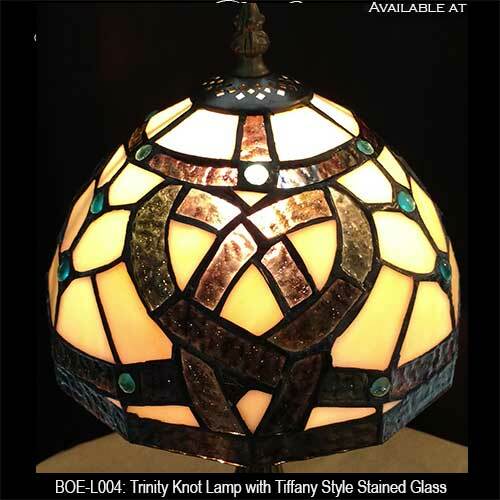 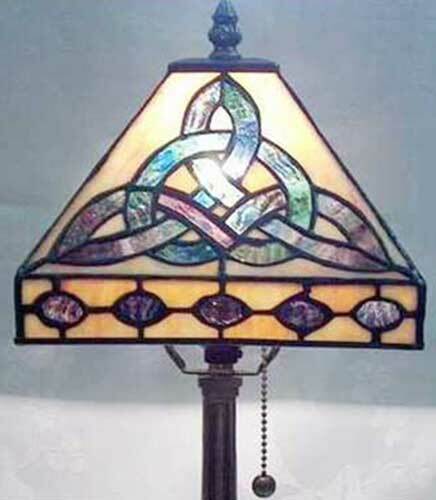 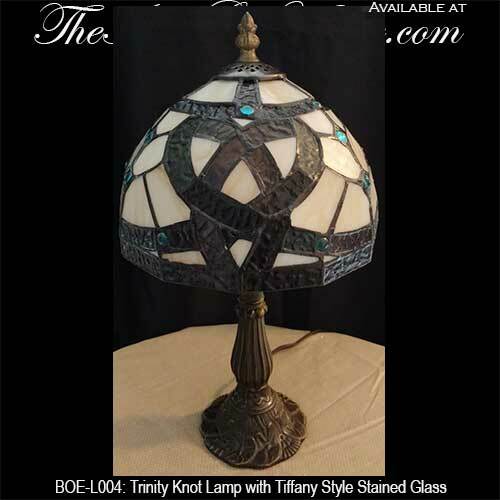 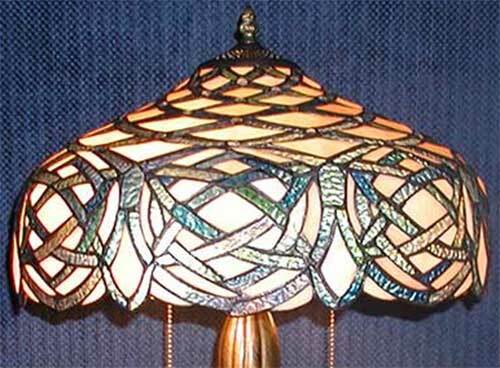 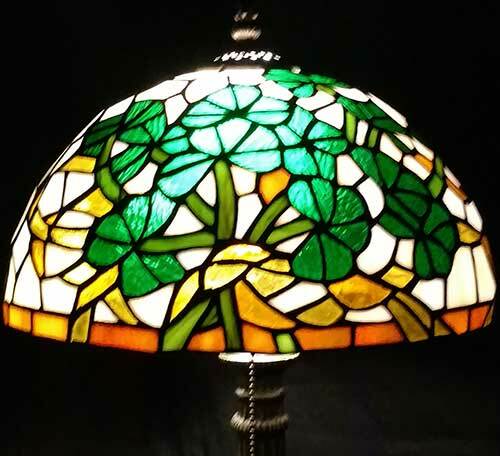 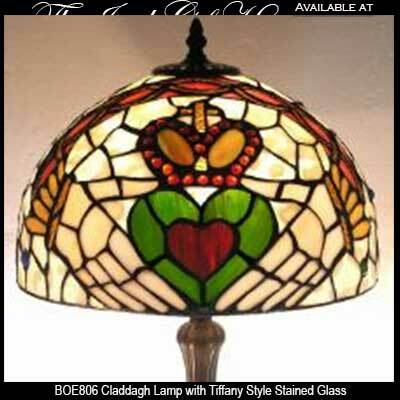 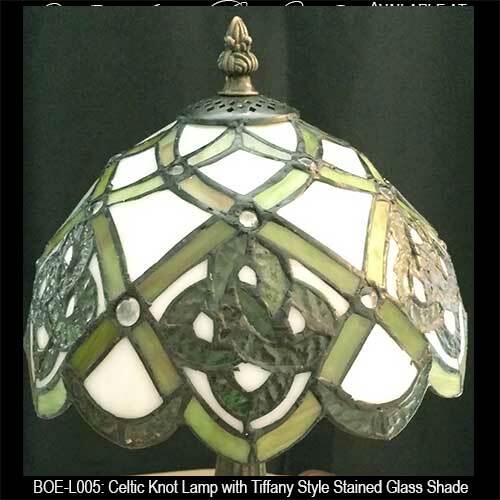 The Irish Gift House offers an illuminating selection of Irish lamps that includes Tiffany style stained glass lamps that feature the Claddagh or Celtic knots. 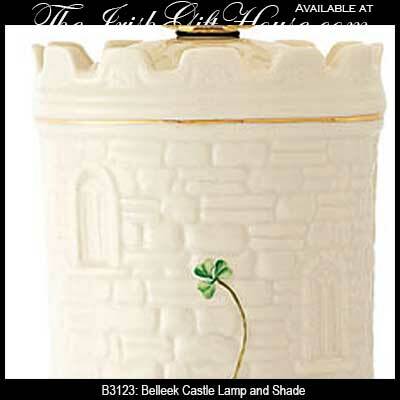 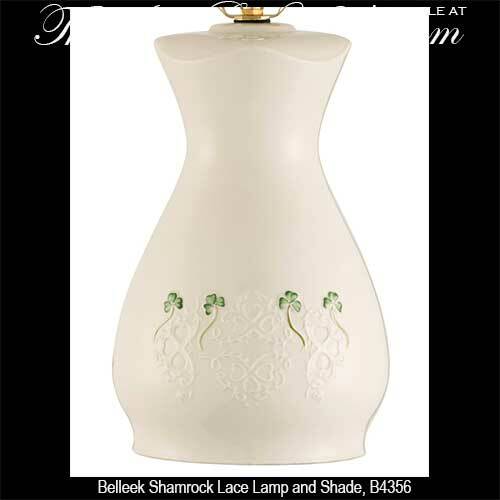 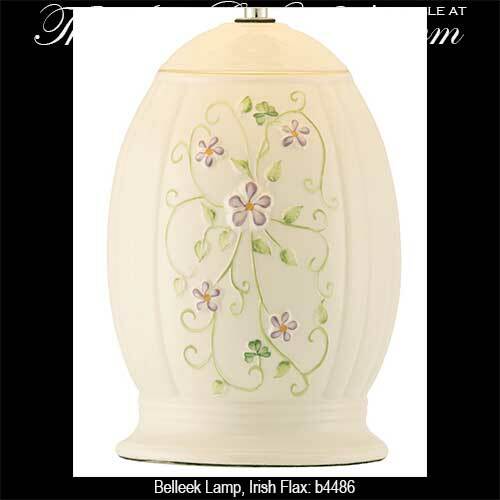 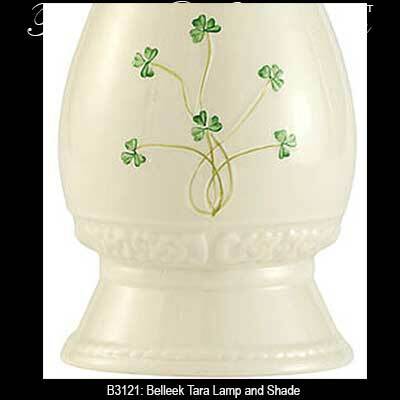 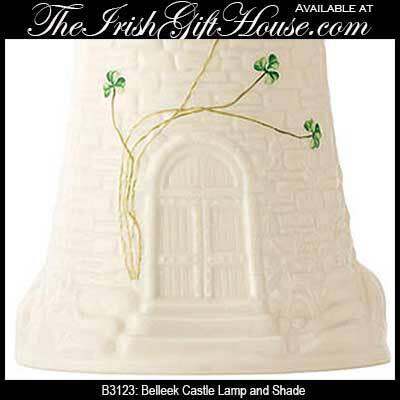 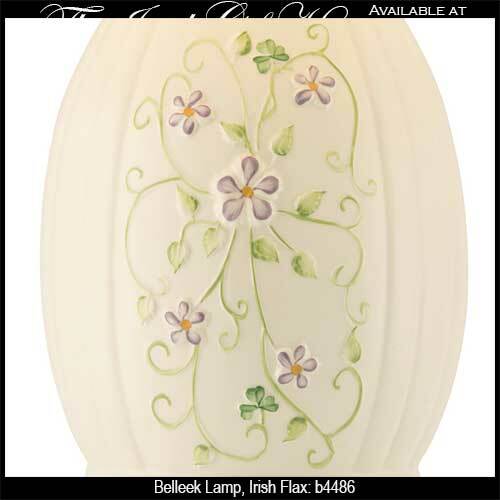 We additionally offer Belleek lamps that are made in Ireland of fine china and are enhanced with hand-painted shamrocks. 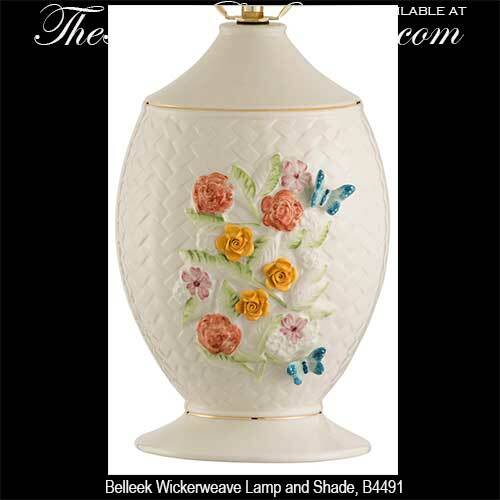 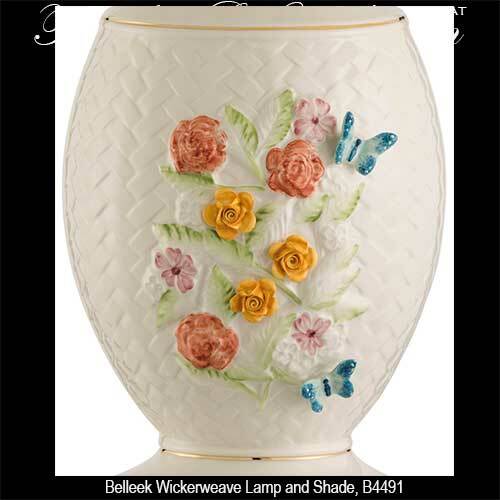 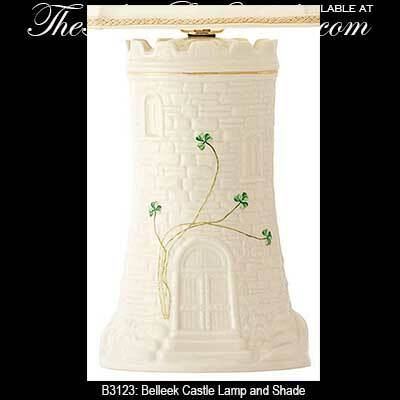 Irish lamp from Belleek features hand painted flax flowers and shamrocks along with gold accenting. 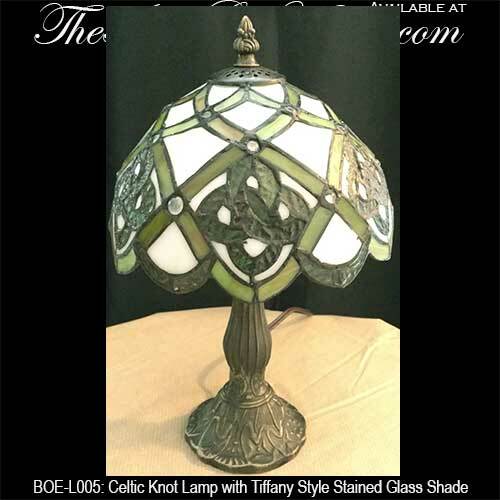 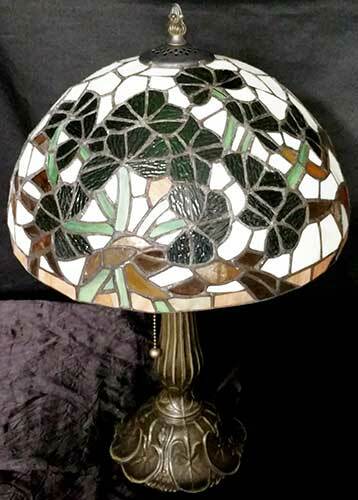 This Irish lamp features a stained glass shade with knot-work and is called the Celtic celebration lamp. 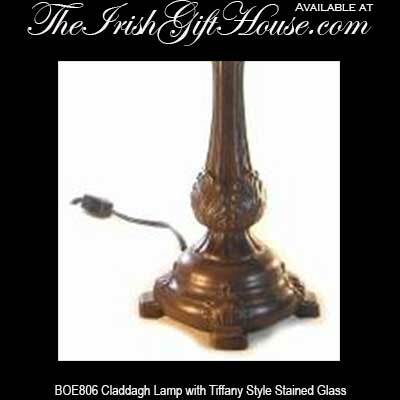 Sorry, this lamp is sold out and we do not know if or when it may return. 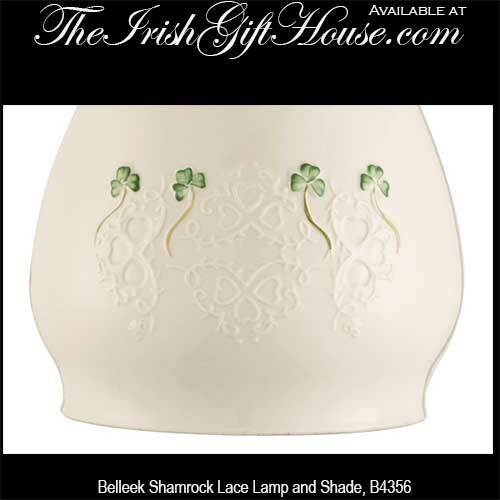 The Irish Gift House offers these Irish lamps, that includes selections of Belleek lamps as just one of the many accent gifts for your home. 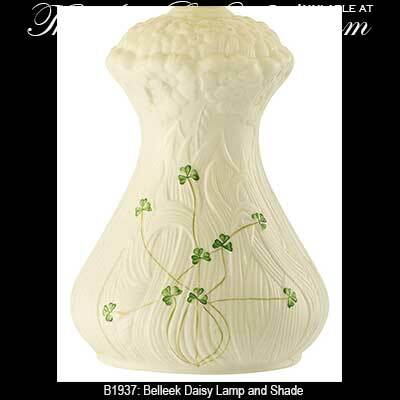 We hope that you take a few minutes to browse our selections of Irish decor that range from Irish picture frames to Claddagh door knockers along with Celtic door knockers and see just how many different items we offer. 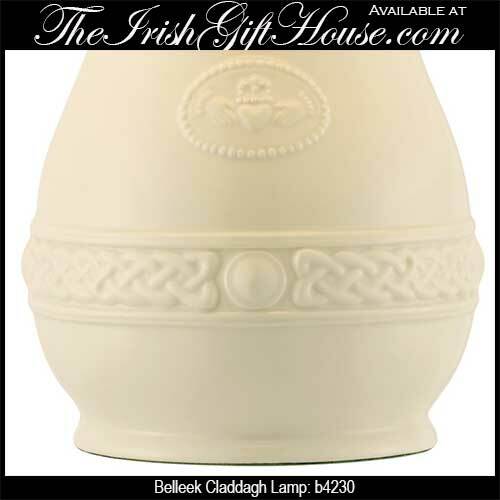 From standing Celtic crosses to Celtic cross necklaces for men our range of assortments can't be beat. 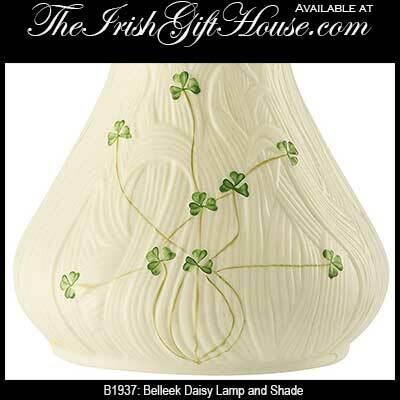 Not only do we offer more Irish gifts in just about every category than most, but we attempt to keep everything in stock!